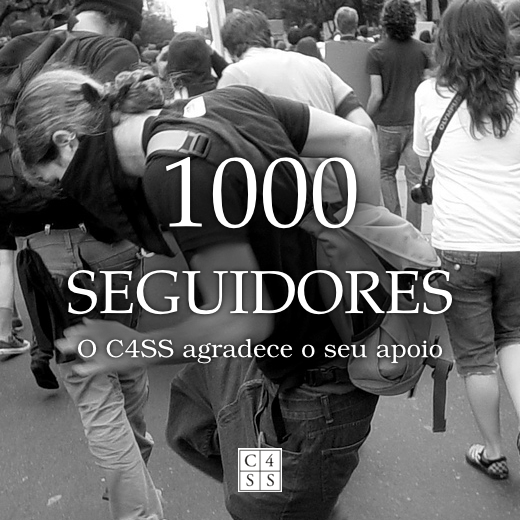 June has been a great month for the Center for a Stateless Society (C4SS). We were able to publish more commentaries in June than in the previous three months. If you are a regular donor, then I would like to thank you for your continued enthusiasm and support. If you are interested in supporting our mission “to explain and defend the idea of vibrant social cooperation without aggression, oppression, or centralized authority” with a monthly $5 donation, then I would like to give you an idea of you can expect from C4SS. 12 C4SS Media uploads to the C4SS youtube channel. 22 Portuguese translations (1 more than May). C4SS maintains, now going on three full years, a Tor Relay Node. We have completed fundraisers to support this node in the past to great success; so successful was the last one that we haven’t needed another one in quite some time. We encourage everyone to consider operating a Tor relay node yourself. If this, for whatever reason, is not an option, you can still support the Tor project and online anonymity with a $5 donation to the C4SS Tor relay node. Mutual Exchange is the Center’s goal in two senses — we favor a society rooted in peaceful, voluntary cooperation, and we seek to foster understanding through ongoing dialogue. Mutual Exchange will provide opportunities for conversation about issues that matter to the Center’s audience. The Point of Privilege Mutual Exchange generated eight responses from four contributors, with a possible ninth from Kevin Carson. Casey Given: What’s the Point of Checking Your Privilege?, Checking Privilege Divides, Fighting Oppression Unites, A Point of Agreement on Privilege? and Intersectionality in Action Renders Privilege in Theory Obsolete. Cathy Reisenwitz: Privilege Is a Plastic Spork. 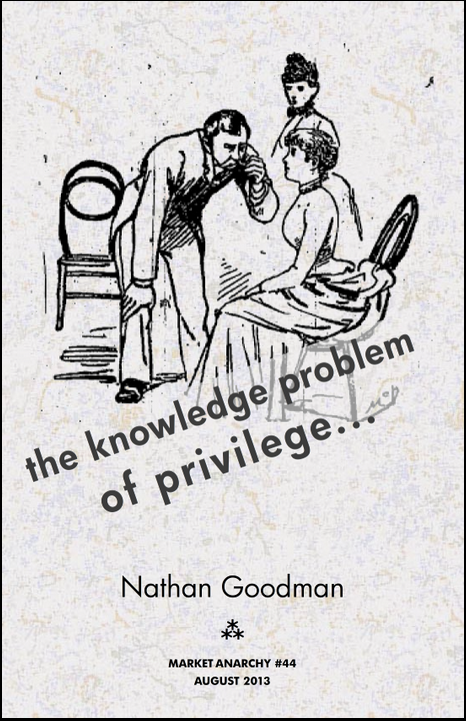 Nathan Goodman: The Various Functions of Privilege Analysis. 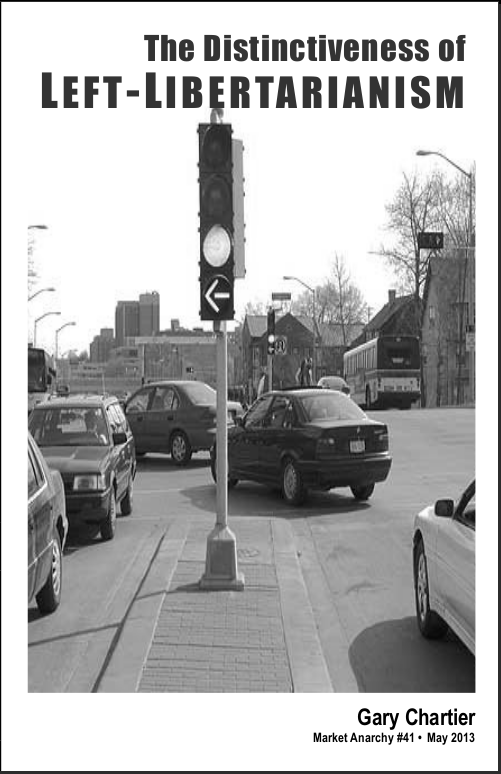 Since January 1st, 2009, C4SS has been able to publish nineteen academic level studies on issues important to a left market anarchist critique of the state and conceptions of a stateless society. Our studies, along with our press room with almost fifteen hundred documented C4SS republications around the world, distinguishes us from the humble anarchist blog. Part of your monthly $5 donation will go towards continuing this project. … We at the Center for a Stateless Society believe strongly in the potency and importance of persuasion in building a freed world, but we also know that world won’t be built without hands-on grappling, activist organizing and building commons. That’s why we started the Entrepreneurial Anti-capitalism project, to pay forward the good fortune we’ve received and provide a helping hand to those doing amazing, necessary, frequently thankless work with very little. 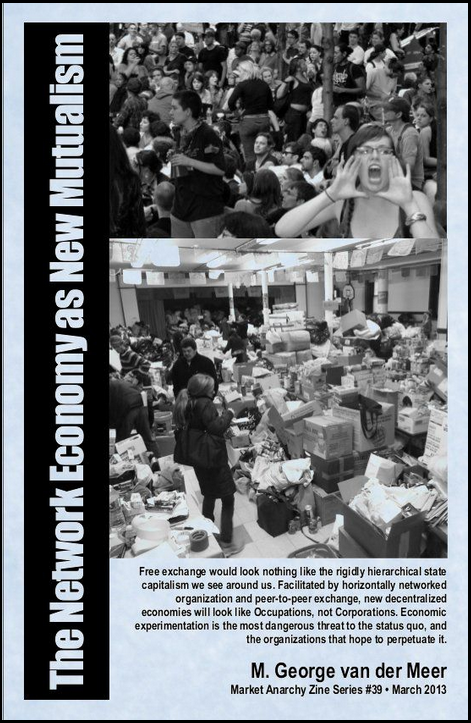 Look forward, in July, for our write up on the fifth Entrepreneurial Anti-Capitalism project, and how you can also support, the Anarchist Black Cross in Mexico City and Denver. What the historical record strongly suggests is that no one is above the battle, because the battle is all there is. 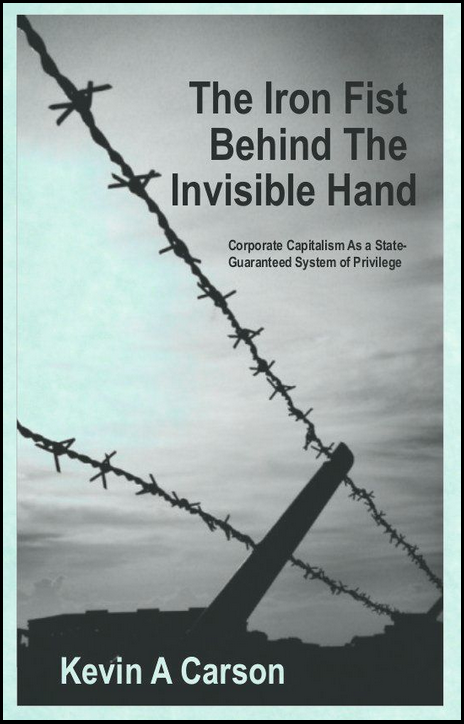 … We of the Libertarian Left, as we understand it at C4SS, want to take back free market principles from the hirelings of big business and the plutocracy, and put them back to their original use: an all-out assault on the entrenched economic interests and privileged classes of our day. If the classical liberalism of Smith and Ricardo was an attack on the power of the Whig landed oligarchs and the moneyed interests, our left-libertarianism is an attack on the closest thing in our own time: global finance capital and the transnational corporations. We repudiate mainstream libertarianism’s role in defense of corporate capitalism in the 20th century, and its alliance with conservatism. Ryan Calhoun has begun reviewing Gone To Croatan: Origins of North American Drop Out Culture for C4SS. C4SS has been a long time partner with Charles Johnson‘s Alliance of the Libertarian Left Distro. This partnership brings with it a little “help the Center” finder’s fee. Just another way you can help support C4SS. The following zine list, highlighted below, has been selected to further showcase the topics discussed in June’s Mutual Exchange and Kevin Carson’s gauntlet. Needless to say, all of this work is only sustainable through your support. If you think the various political and economic debates around the world are enhanced by the addition ofleft libertarian market anarchist, freed market anti-capitalist or laissez faire socialist solutions, challenges, provocations or participation, please donate $5, today. Keep C4SS going and growing.